We are currently looking for authors for our website to create content on a monthly basis. 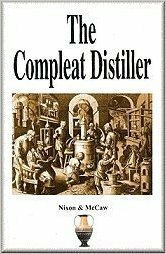 The ideal person should possess a fundamental knowledge of distilling and have a passion for teaching others. We will give you the training needed to create and post your content on our blog. If this sounds like the job you’ve been waiting for contact me below for more details. In the comment box below tell me why you think you would be a good fit for the job! 2 Responses to "Contact Us – Job Offer"
I could see myself doing this. I am 52 years old. ALWAYS loved good moonshine since I was in about 7th or 8th grade. I tasted some real good shine and peach brandy once and I knew what the good stuff was from that point on. People always say ” I’ve got some good white likker”, I’m sorry but 99% of the “good” stuff is horrible. They apparently have never tasted “good” moonshine in their life, so in an effort to taste the good stuff I embarked on a mission to find that great tasting moonshine I tasted as a young man. I am disabled and usually spend spring thru fall perfecting my moonshine. I have a small stovetop still that I can get about 4 or 5 gallons in a good season. I have learned from hands on trial and error, believe me when I tell you I have messed up alot in my journey. I have gotten to a point where my mash is consistent and the flavor of my shine has all my customers wanting more. I wish that I could build about a 5 or 6 gallon pot with a thumper and all but to be honest my physical problems limit me to just working in my kitchen. I have a chair on wheels and I use ice from the freezer for my condenser, its a pretty effective set up I must admit. I use cracked corn from a local feed store and yeast bought from Amazon. Through the past few years I have learned how to control temperature to optimize my flavor and yield, both seem to just keep getting better and better with time. I also want to start trying my hand at brandys and liqueur, something the ladys would enjoy and also to give as Christmas gifts. Anyhoo, thats my story I have no college learning just high school diploma class of 84, I don’t know if you would be interested in my style of writing but if you are I look forward to hearing from you. Keep on shinin’. P.S. does this job pay anything? I’ll message you via your email provided !